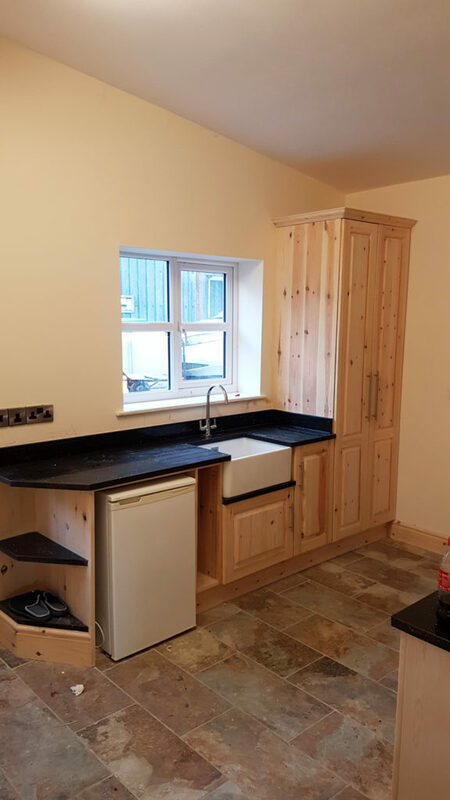 This spring we completed this stunning Scandinavian Redwood utility room topped with a Star Galaxy Black quartz counter top. The Redwood timber arrived on site in 150mm by 3m lengths. 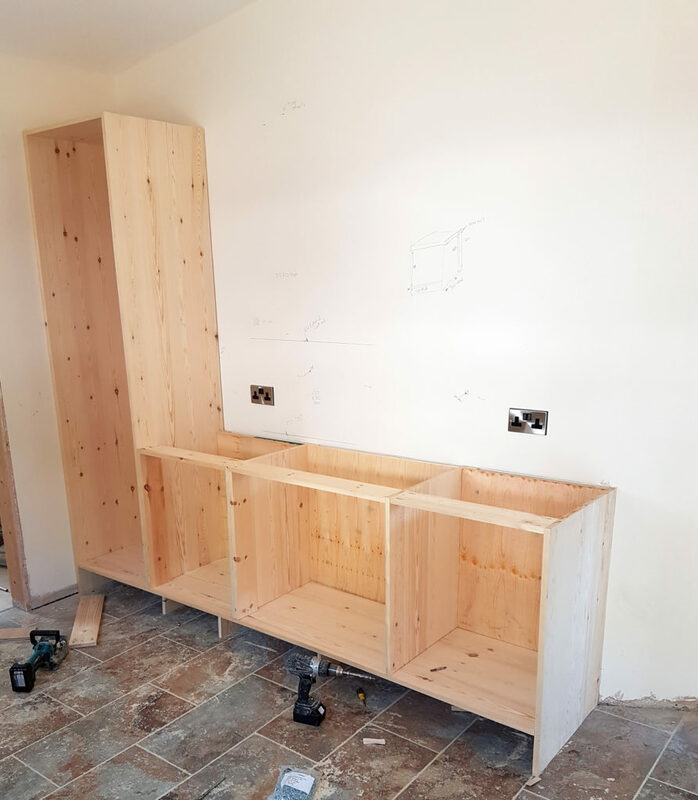 Each piece was then planed, glued and clamped to make the units. Using age old joinery methods for the mortise and tenon joints and new techniques with pocket holes for mechanical fixings meant no visible screws or fixings could be seen. The doors were also made on site (luckily there was plenty of room for us to set up a mini workshop). Each door consisted of 5 components: two stiles, two rails and a panel. 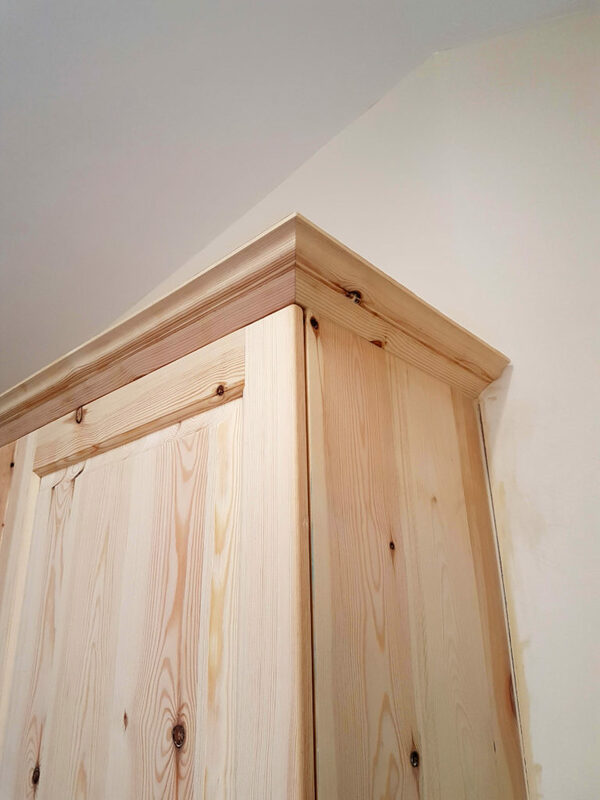 The customer had opted for a simple ovolo door profile and a raised panel, these were machined and sanded, again and again until they were perfect, then glued and clamped and left to set. 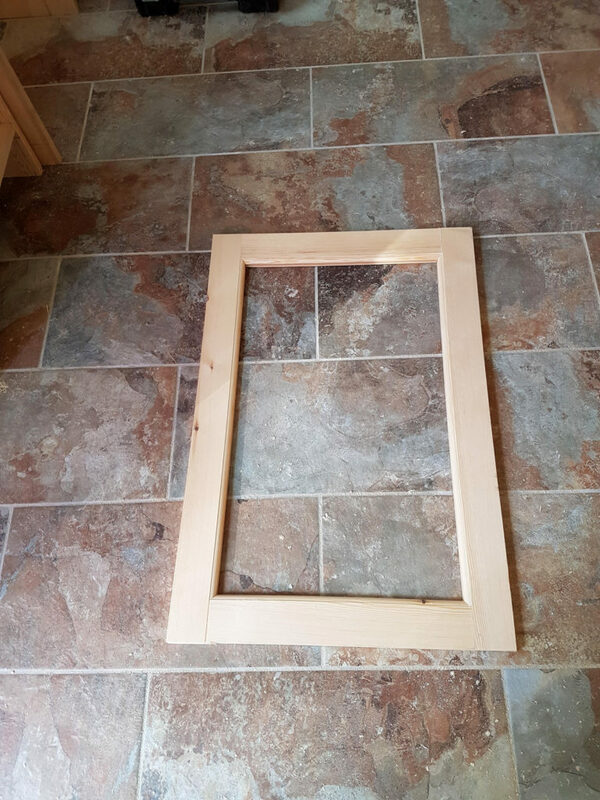 Once set the doors were given a softening by rounding the corners and sharp edges. 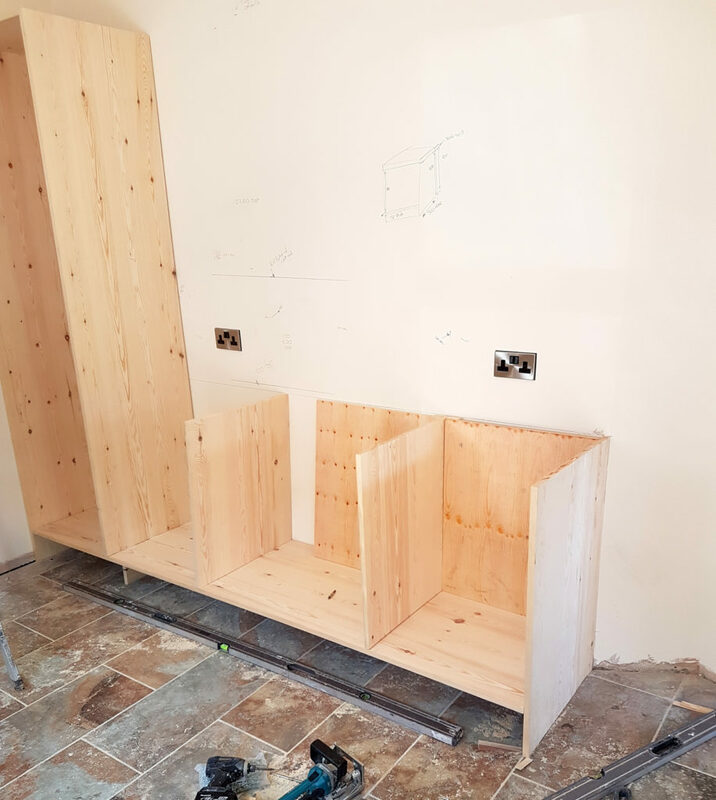 After rebating the hinges and hanging the doors the customer could decide the colour and finish (This is usually done in the design process and before fitting but the customer wanted to see every thing built and assembled in its natural naked wood first). We gave over 30 variants to choose from, after whittling them down to 3 we stained and finished a sample board for them to deliberate. 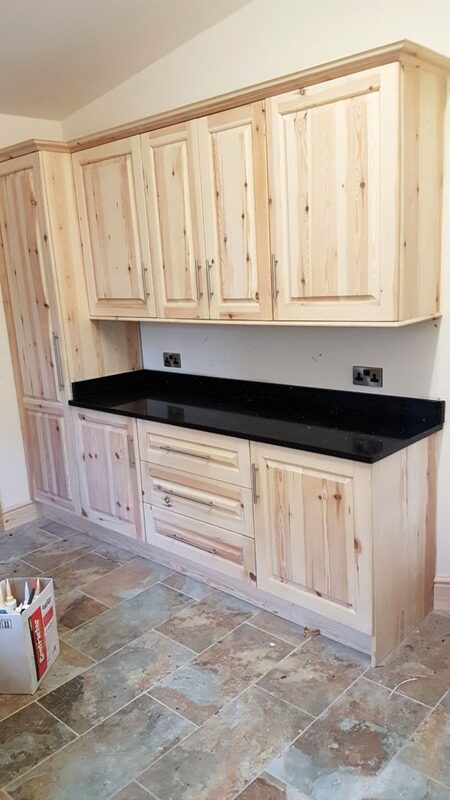 The final choice was a very very faint white wash with clear satin lacquer resulting in the Redwood’s natural grain pattern and mix of pinky heartwood and white yellow sapwood showing through, both with a lovely lustre of the soft gloss sheen. 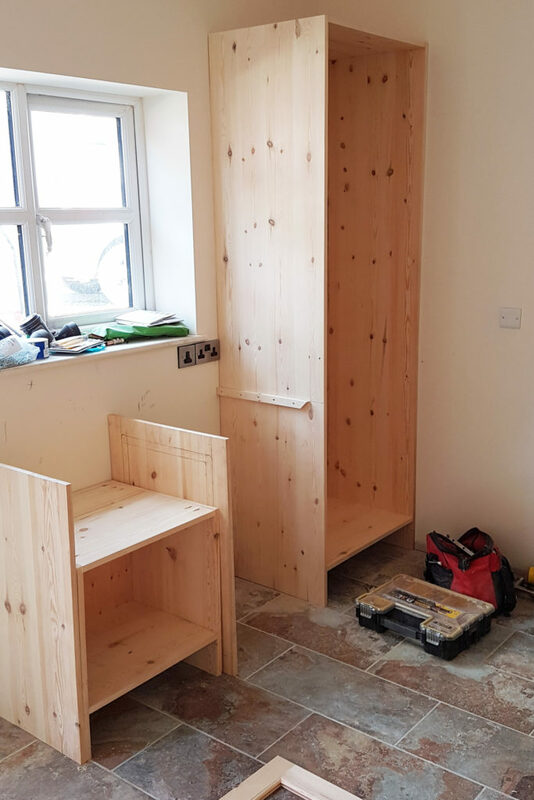 We are very pleased with the quality and workmanship that went into making this bespoke project and so was the customer, so much in fact they have had us back to create their bespoke fitted bedroom in the same Redwood timber and has turned out fabulous. 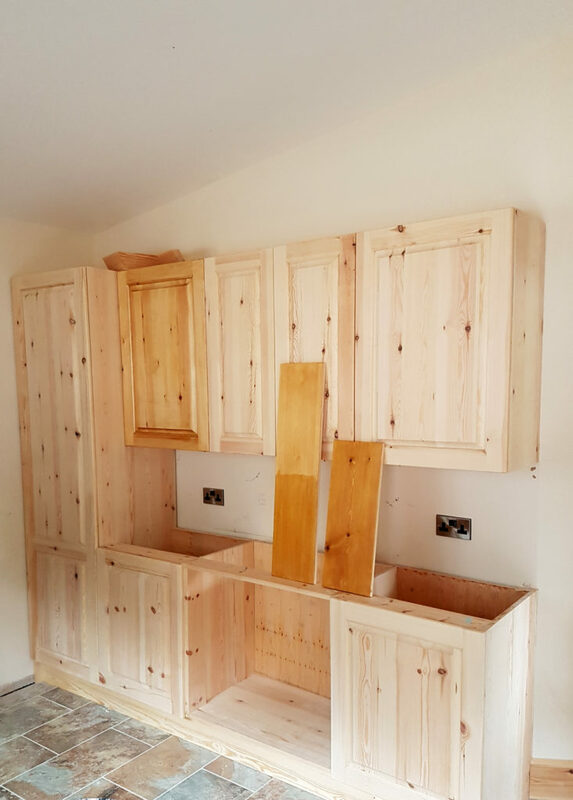 We are now in the process of designing, manufacturing and installing their Oak kitchen too.